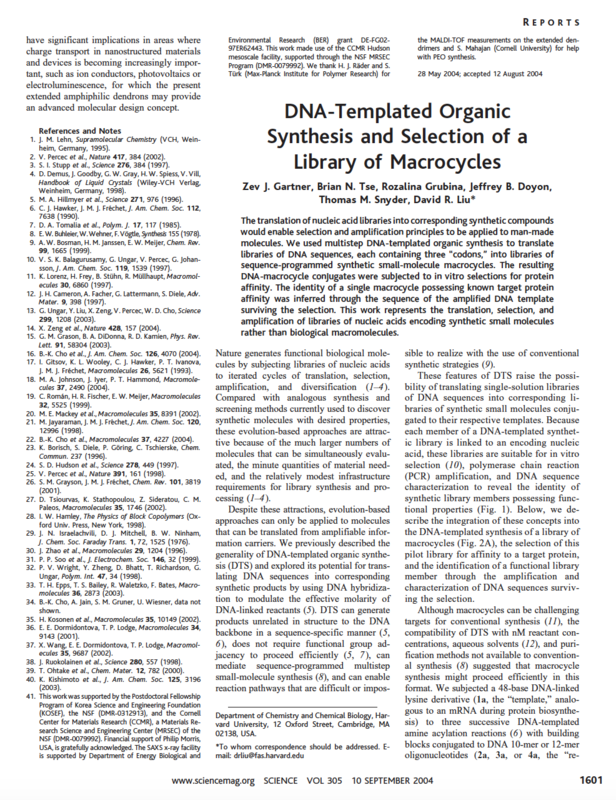 Bioactive synthetic small molecules and synthetic polymers using DNA-templated organic synthesis, a technique pioneered by the Liu group, and Darwinian selection. 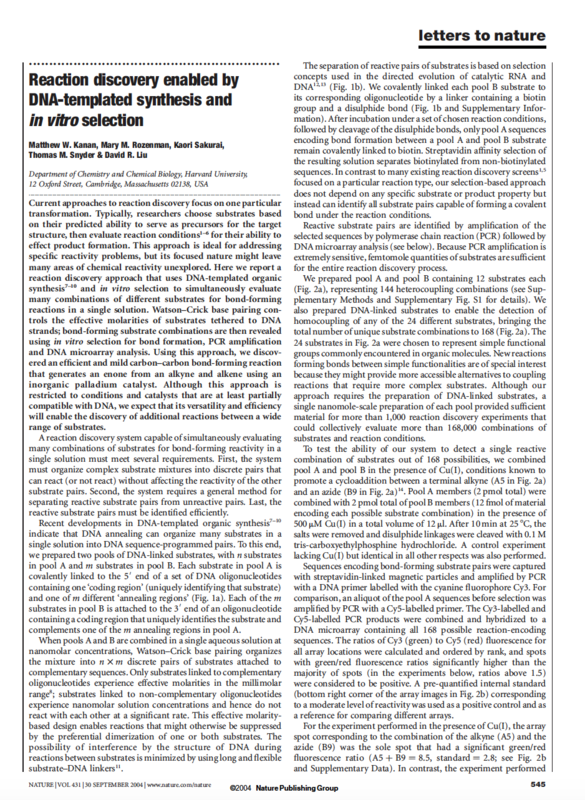 DNA-TEMPLATED SMALL MOLECULES The discovery, synthesis, delivery and testing of small bioactive molecules remains an active focus of chemists in both academic and industrial settings. 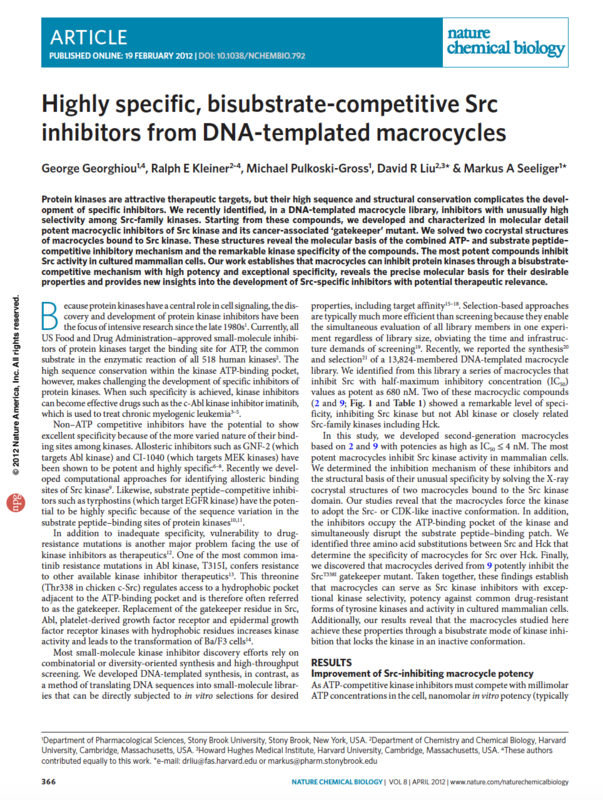 The discovery of these bioactive molecules provide important insights into basic cellular function and are critical to identifying cellular targets implicated in human diseases. 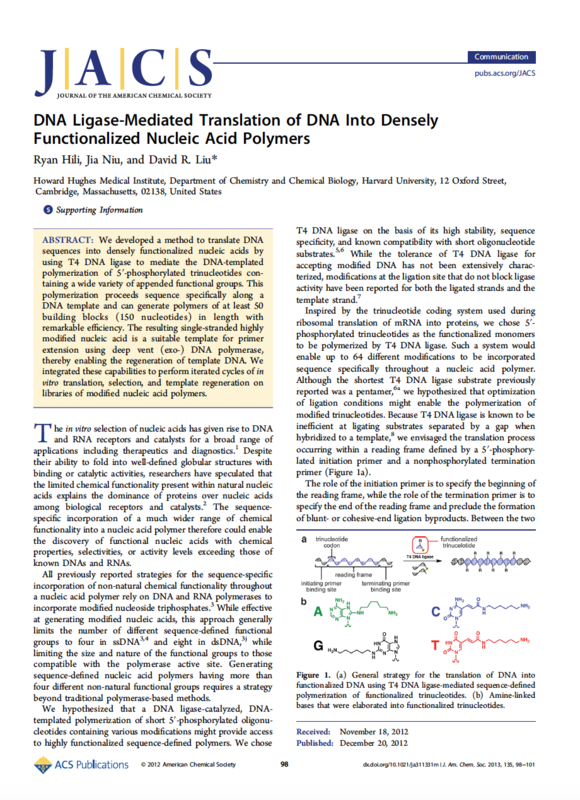 The Liu group developed and applied DNA-templated synthesis (DTS) to program chemical reactions of organic small molecules and sequence-defined synthetic polymers. 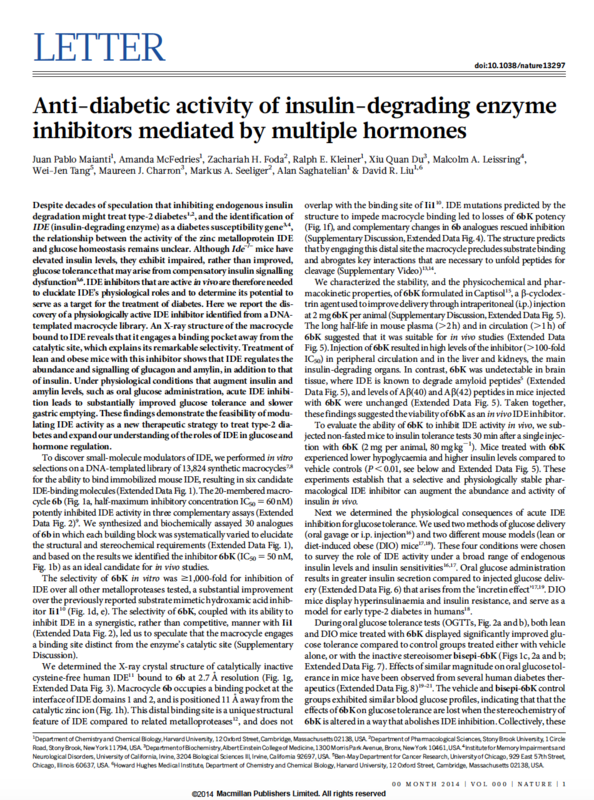 By combining DTS and Darwinian selections, the Liu group has discovered several families of bioactive synthetic small molecules, such as inhibitors of kinases implicated in cancer, and inhibitors of insulin-degrading enzyme (IDE), which has been associated with diabetes. 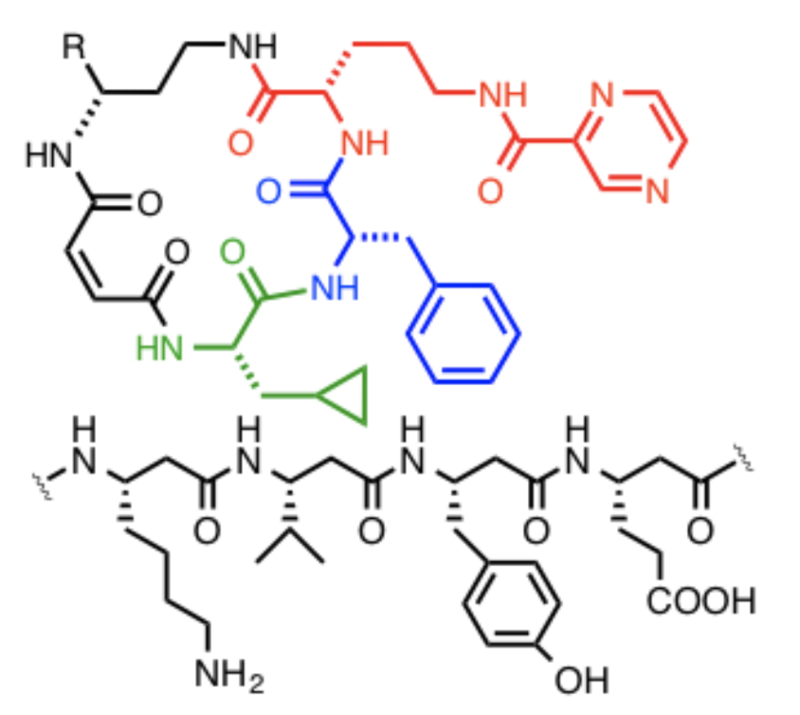 The Liu group has also applied the principles of DNA-programmed reactivity and DNA encoding to develop a new approach to reaction discovery, resulting in the discovery of several new chemical reactions. 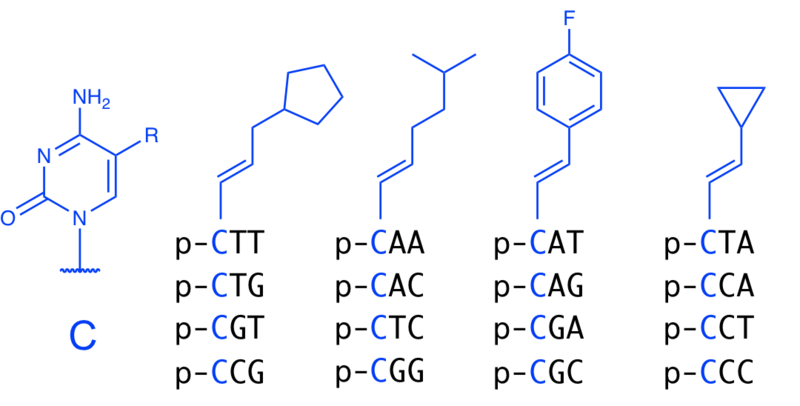 DNA-TEMPLATED POLYMERS Sequence-defined polymers drive much of the chemistry in living systems, but they are difficult to create and evaluate. 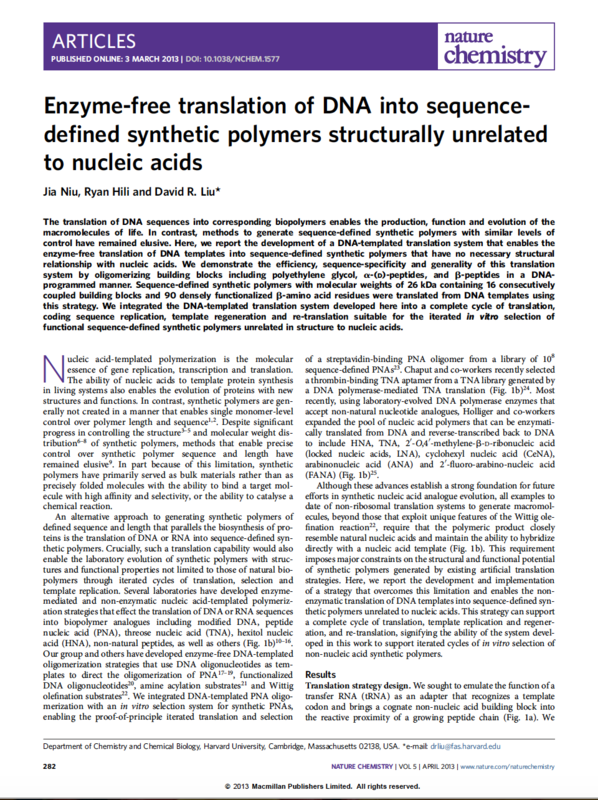 The Liu Group has developed several systems that use DNA-templated polymerization to translate DNA sequences into sequence-defined synthetic polymers. 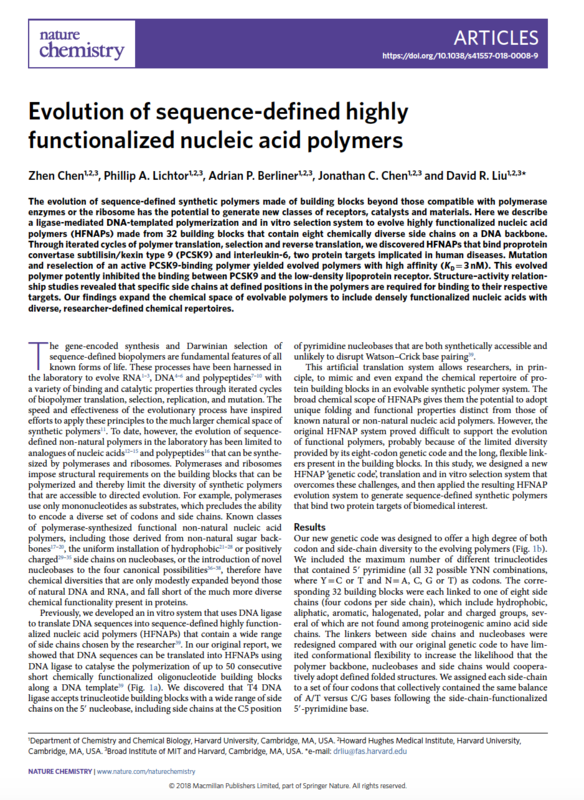 Using these systems, we have evolved highly functional nucleic acid polymers with tailor-made binding characteristics, and also illuminated the relationship between side-chain availability and biopolymer functional potential during evolution.